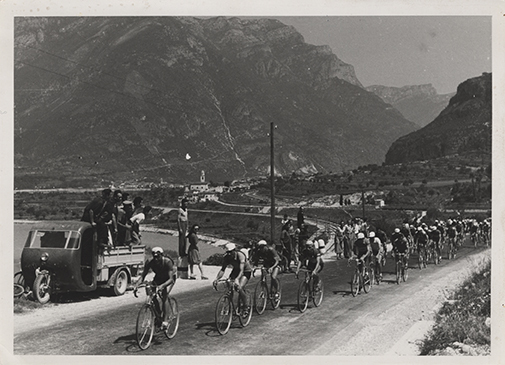 The 1946 Giro was the first after the war: Italy was half-destroyed and this meant endless logistical and organizational difficulties. 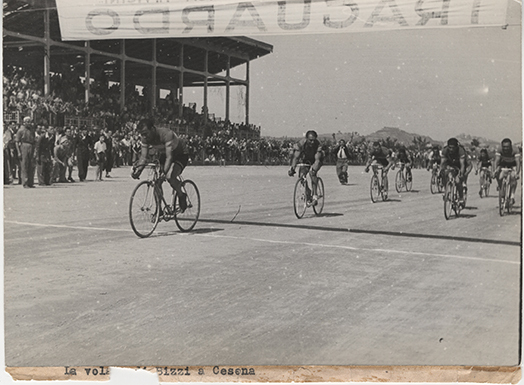 The war had just finished and it was difficult to find many of the things that were necessary to organize a bicycle race: riders, bicycles, roads, to start with. 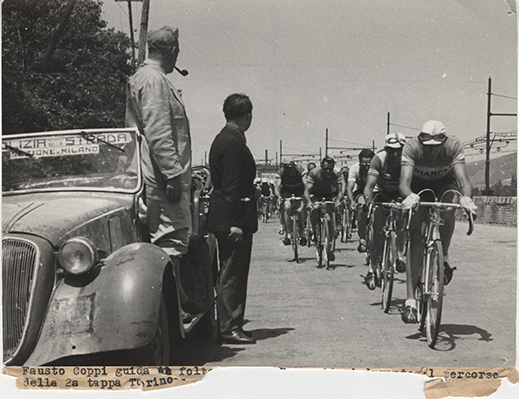 Armando Cougnet rebuilt his organizational staff and took on a young assistant, Vincenzo Torriani, who got on board an old Balilla, left over from the war, and began to tour Italy in order to verify the roads and towns for the start and finish lines. 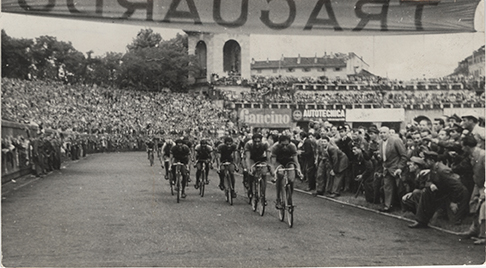 The Giro d’Italia was also the most important stage race because the Tour de France did not start. 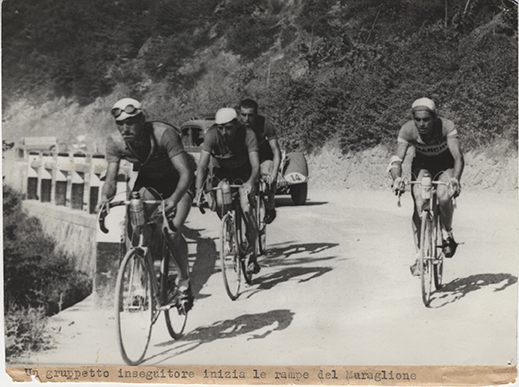 Bartali and Coppi, now opponents on different teams (Bartali with Legnano and Coppi with Bianchi), resumed the rivalry that had set fans on fire during the 1940 Giro. Coppi started with an advantage after his feat at Sanremo, a 145 kilometres breakaway with over eighteen minutes gap over Bartali, which gave a glimpse of epic duels. 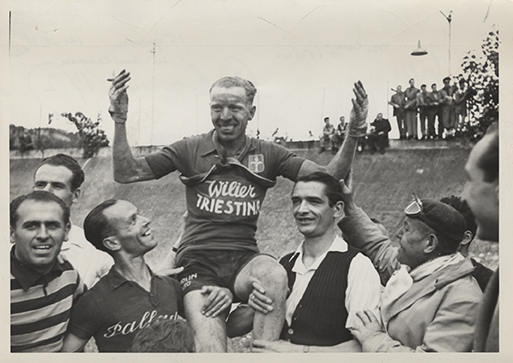 Bartali was “already” 32 and was considered “old”. Coppi dominated the Dolomites, but he did not completely make up for the time lost when he had fallen behind in the first part of the race and Gino Bartali won his third Giro by only 47” seconds. Ortelli, who long wore the Maglia Rosa, and the sprinters Conte, Bevilacqua, Bini, Bizzi and Leoni also proved their worth. Innovations included the introduction of an official medical service for the Giro, which ensured assistance to the entire caravan. 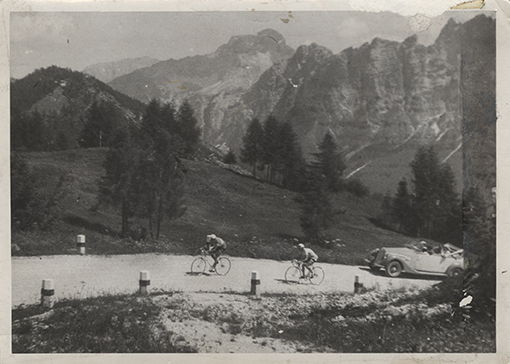 But the 1946 Giro is above-all remembered fot what happened in Pieris. 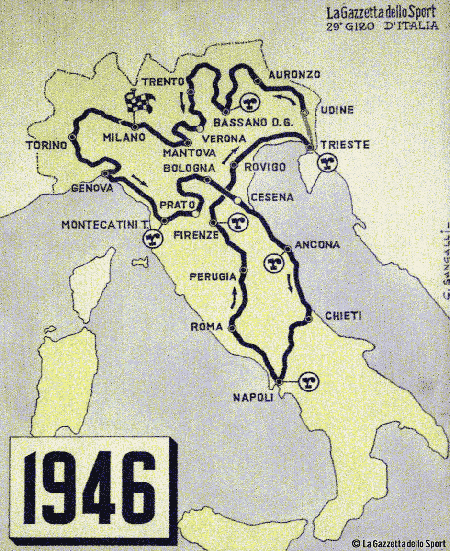 On June 30th 1946, during the 12nd stage, Rovigo – Trieste, on the border with Venezia Giulia, in Pieris, some pro-Yugoslavian demonstrators, who were opposed to the return of the territory of Trieste to the Italian rule, blocked the Giro by placing large boulders in the middle of the road ad throwing spikes and stones against the riders. The police attempted to disperse the demonstrators, who responded with gunshots. Having established that was impossible to proceed, the Jury declared the race virtually concluded. 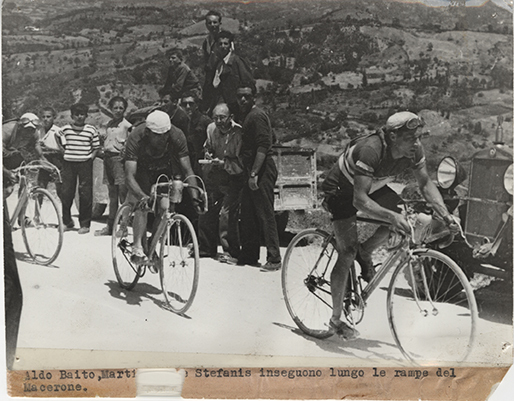 Seventeen racers decided to continue by car and with their bicycles and reached the Montebello Racetrack, where a symbolic arrival was awarded, with Giordano Cottur, born in Trieste, taking first place.